Dyker Heights. First among equals in Brooklyn, the Lights of Dyker Heights are something to behold. They're insane, over the top and so Brooklyn you'll want to scream. And, you'll have plenty of company because they're estimated to attract 100,000 visitors during the holiday season, including bus loads full of kids. 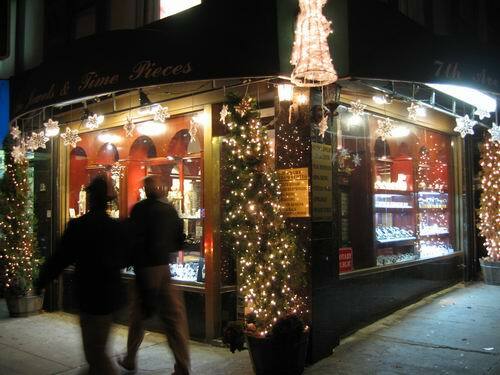 The area where the lights are centered is between 80th and 86ths Street and 10th and 13th Avenues, with 84th Street between 11th and 12th Avenues having some displays that words simply can't describe. If you've never been, Dyker Heights is next to Bay Ridge. You can click on this Google Map for help finding the area. Dumbo. 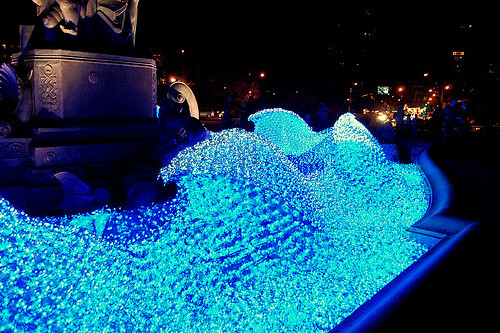 This year, for the first time, Brooklyn Bridge Park is going to have some lighting displays that are being promoted as being pretty cool. We'll have to wait until the switch is flipped on December 5 at 6PM to see for sure. The show runs through January 7. Carroll Gardens. Among the many things we love about Carroll Gardens is the exuberant nature of the Christmas displays. Take a walk through the neighborhood and see for yourself. There are some very enthusiastic displays not far from the Gowanus Canal. Downtown Brooklyn. Brooklyn's tree is in front of Borough Hall. It'll be lit on December 13th with a Hannukkah menorah to follow on December 18. Metrotech and the area around the Marriott also have some cool lighting. Williamsburg. Some people in the Burg pull out all the stops to decorate their houses. There are some very lit up houses around Berry. 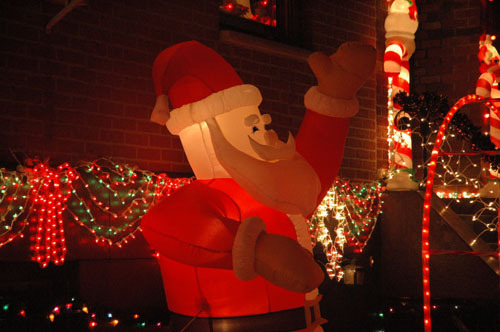 One street that is also heavily decorated is Ainslie between Graham and Humboldt. Bergen Beach. We haven't personally seen the Bergen Beach lights, but the lights on National and Arkansas Drives are said to be one the borough's "biggest and brightest displays." You have a car and you have a Google Map and you're right there. Brooklinks is a daily selection of Brooklyn-related news and images. On Thursday, we focus on food. The photo above was shot by photoblogger Dalton Rooney, whose blog seriously excited! is one of our favorites and worth checking out. He had emailed the other day to say that the Gowanus is looking extra funky this week, with extra-murky water and a lot of floating debris. "The greyish-green color was really disturbing, and the water wasn't moving at all," he writes. Is the flushing system, which keeps "fresh" water circulating in the Big G and has been responsible for improvements in water quality (and is slated for a major upgrade) out of whack? There is a oil visible on the surface in the photo, which we have previously noted coming from the area around the Union Street Bridge. This serves to remind us that the Gowanus Canal Conservancy was formed earlier this year and that the Big G could really use its advocacy services. 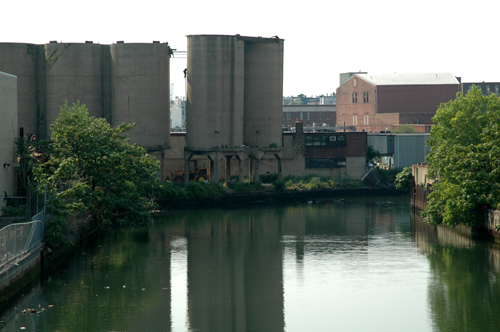 None of this helps the Gowanus's image. 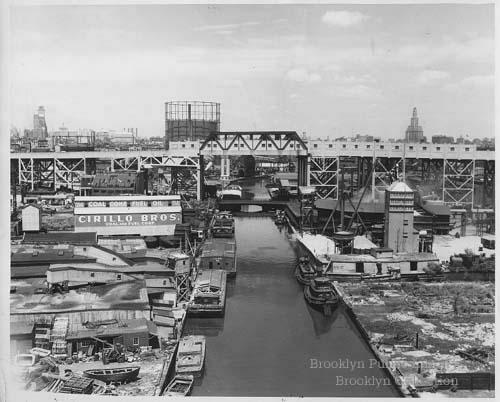 For instance, take this morsel from Gridskipper: "Carroll Gardens and Park Slope are separated by a twenty-minute walk during which the fetid Gowanus Canal must be traversed." So, you've been ignoring all those maps that show what could happen in Gowanus (and Brooklyn generally) during a hurricane. 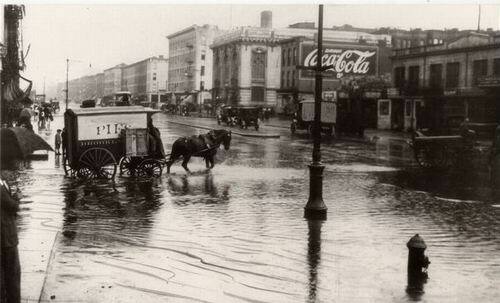 A kind reader that saw our post of an old-time Gowanus photo yesterday emailed us some others. 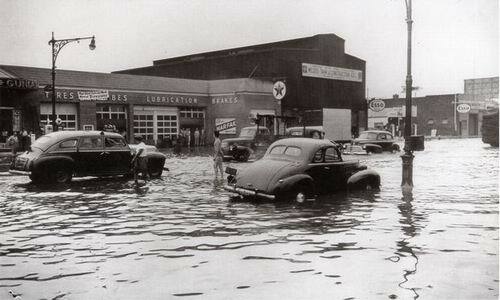 For the moment, we're going to post only a couple of them that show Fourth Avenue flooded by the Gowanus. Twice. Once in 1922 and once in 1947. Someday all those 12-story buildings going up on Fourth Avenue will have water views! We have two bits of advice: (1) Don't buy any lower than the second floor and (2) Very good hip waders. 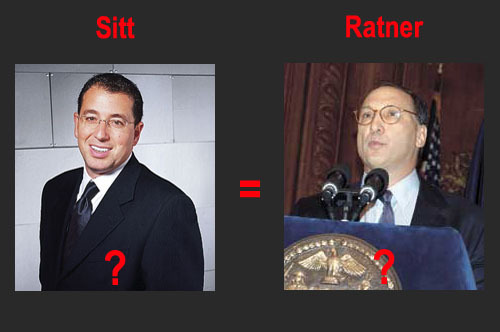 Is Coney Island the New Atlantic Yards and Joe Sitt the New Bruce Ratner? 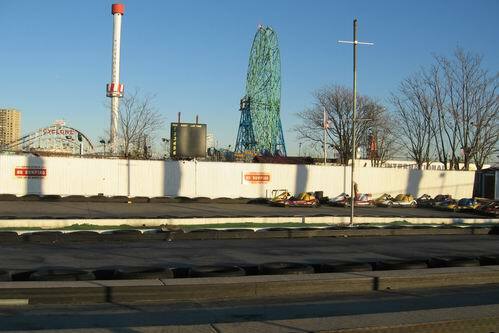 The moment we saw the item late yesterday afternoon about the sale of Astroland to Thor Equities we realized why we started doing a "Coney Island Deathwatch" months ago: because Thor's plan is to erase virtually every element of Coney Island's past and to rebuild it from scratch. There's more to it than that, however. With the sale of Astroland to Thor Equities, the massive Coney project is starting to look like the new Atlantic Yards and, inevitably, developer Joe Sitt is looking like Nouveau Ratner. The only thing missing is the Empire State Development Corp., but the Coney Island Development Corp. may yet prove itself to be a spiritual equal. So, what's wrong here? Let's start with a project driven by a single developer and firm and move on from there. Projects of this magnitude that would literally place the fate of a huge part of an entire neighborhood in the hands of one firm or entity are a bad idea. It's led to a mega-project of massive density in Atlantic Yards and it will likely yield something unsettling in Coney Island. If Thor's model is something of a Times Square by the Sea (with rides looping in an out of buildings), it neglects one fact: The Times Square redevelopment never went anywhere until it was an organic process in the hands of multiple interests. Generations of top-down schemes crashed and burned. Yes, Coney Island needs to be redeveloped and needs to regain some of its former glory after so many years of neglect and decline. However, destroying every remnant of its history and stripping away yet another bit of the Brooklyn we love--and one of our earliest life memories is going to Coney Island, where a good part of the family lived--is not the way to do it. To recap a story that has been broadcast all over the country in the last 16 hours: Thor Equities bought Astroland for $30 million from its owners, the Albert family, yesterday. The 3.1 acre amusement park will close at the end of the 2007 season. 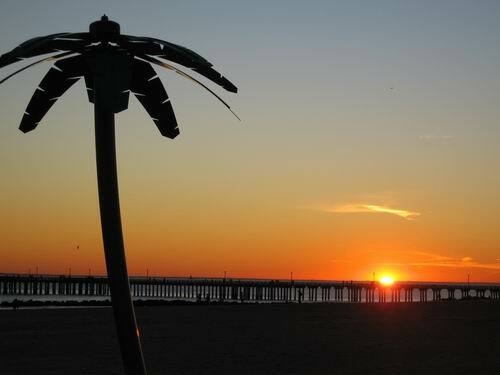 The Cyclone will remain (it's a landmark) under the current agreement with the city. Oddly, the family said that "the cost of converting Astroland to a year-round operation was too steep." Even more oddly, they're retaining ownership of some of the rides in the hope of "adding some new rides and relocating to another section of the neighborhood." The family is "hopeful that city and Brooklyn officials could help with relocation costs." Killing one of the last two Coney Island amusement parks--no matter how unspectacular Astroland might be--is like ripping out part of Coney's soul. It verges on being an act of cultural violence. This is the point at which a mayor with a sense of history and a borough president who utters more than empty cheers would step in to say, 'enough' and work to ensure that Astroland stays a genuine amusement park and that the amusement zone--which is Coney Island's historic heart--is protected by zoning. 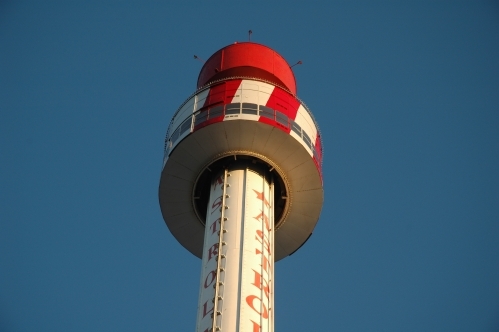 envisions a unified plan for its properties with Astroland becoming a 12-months-per-year amusement destination. In the future, Astroland will house a mix of amusements and attractions. Thor's vision includes the introduction of enclosed amusements for the 21st century that can operate throughout the year, as well as a new hotel that will be needed to accommodate the expected influx of visitors to the area. 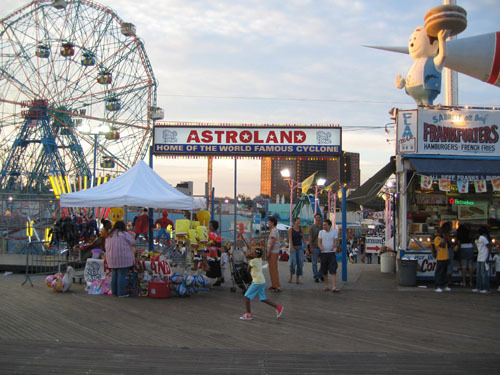 The interesting thing is that Deno's Wonder Wheel Park sits between Sitt's other properties and Astroland. Is that the next shoe to drop? Will Deno's end up hemmed in by Sitt projects like the proverbial building whose owner refused to sell surround by highrises? Will the only things left of the past in Coney Island be the Cyclone, Wonder Wheel and Parachute Jump, the equivalent of those big, old signs that are preserved when the factories to which they were attached are torn down? Will Thor use preserving Astroland as an amusement park as the bargaining chip to get the zoning changes to allow boardwalk condo towers? Is the grand plan--as cynics have suggest--to turn Coney Island into an absolutely desolate ghost town by the end of next year to pressure quick action on their plans? We are fairly certain that Mr. Sitt does not intend to build a bigger, better amusement park where Astroland is. Amusement parks--unless you plan to do a Mall of America indoor thing--are not "year-round attractions" in the Northeast. At least, not until another 75 years or so of global warming occur. At which point, they might want to plan for a lot of water rides. The sale of Astroland is not something to be automatically cheered, and it is probably not the last sale or purchase about which we will be writing. 1) This sounds like another project that will ram a development, like it or not, down the community's throat - similar to Bruce Ratner's Atlantic Yards...It is going to be interesting to see how south Brooklyn reacts to this. They have offered overwhelming supported Ratner's mega-development, sweetheart deal in northern Brooklyn - much to the dismay of people who will actually have to live in that project's shadow. Now, we will see how they react to this similar "single developer" giveaway in their own backyard. It won't be so exciting having a huge development increasing traffic beyond road and infrastructure capacity when its in their own yard. (Maybe it's Karma). Anyway, Thor now owns C.I. I think the CIDC has done a great disservice to C.I. and this city by not demanding a diversity of development. Coming soon: million dollar condos to the C.I. boardwalk and SEASONAL rich folks complaining about the noise. SEASONAL rich folks complaining about the poor people hanging on the boardwalk at night. Seaside condos sold to SEASONAL buyers, who will offer NOTHING to the economy of C.I. in the off season. 5) "No longer are amusements in areas prone to cold climates useless during the winter. But perhaps may prove claustrophobic in the summer when we invite our relationship with the outdoors. 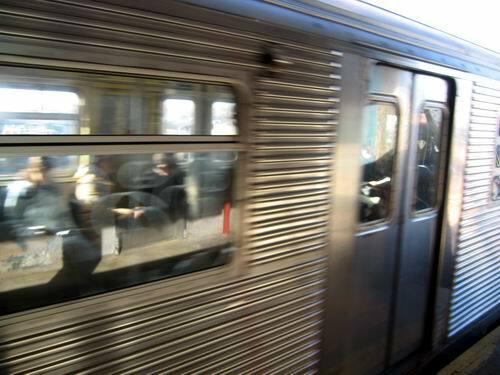 Brooklinks is a daily selection of Brooklyn-related news and images. The Wood family is very thankful for the support we have received in our attempt to rescue Broken Angel. However the building is far from saved and time is running out. 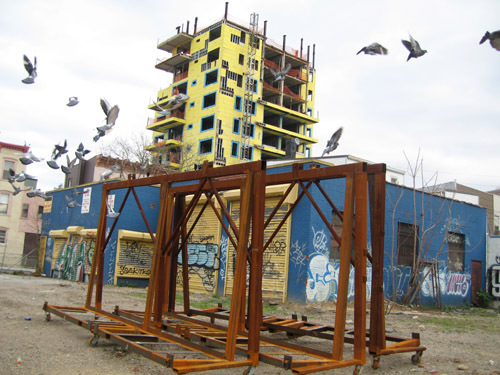 Broken Angel is a legally built architectural sculpture, which my father would love to transform into a home for the arts. Broken Angel is viewed by thousands of people who come to see it every year. If this quirky and original structure disappears, Quincy and Downing streets will again become a forgotten corner of Brooklyn. My name is Christopher Wood; I am the son of the creators of Broken Angel. I have lived my entire life in Brooklyn. I have grown up and continue to be enmeshed in a world of art. I am a stone carver and photographer. I have restored many of New York’s cherished landmarks including the Metropolitan Museum of Art, the Cloisters, Grace Church, the Tweed Court house, and currently the main branch of the New York City Public Library. I call on Brooklyn to support and help us restore Broken Angel. Please email or write your local politicians to show your support and help us block the demolition of Broken Angel. If you are a legal professional, we desperately need help fighting the Department of Buildings in court. Additionally those who are willing and able can purchase paintings by my father or my photographs of Broken Angel at Artez’n at 444 Atlantic Ave. Works of art for sale can also be obtained online. I guarantee that a work of art bought this holiday season will retain its value better than a Play Station 3. Please help us and show the developers who want to turn Brooklyn into another skyline of giant buildings that we will not go gently into the shadows of greed and over development. Yes, the "shadows of greed and over development." 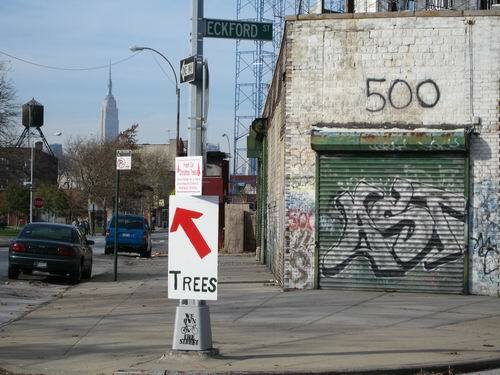 If you want a Brooklyn holiday gift that's cool and for a cause, buy a Wood painting or photo! Brooklinks is a daily selection of Brooklyn-related news and images. Today, we're offering it in two parts. When we originally heard the house next door 231 16th Street had been sold we were very happy. 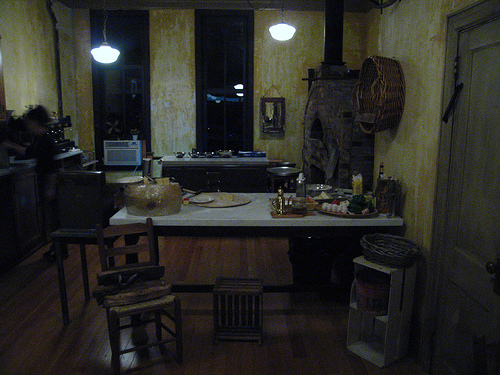 The old house had been empty and was occupied by squatters. The property was in disarray and a general eye sore. One morning at 5:45 AM our sound sleep was shattered by a bulldozer tearing down the old house next door. Little did we know how our lives were about to change. The next day we had a huge gash ripped into the side of our house. This set off a sequence of events that led to this website. Another good source for insight on the ugly side of development in Park Slope is available at IMBY, where we first came across this blog. 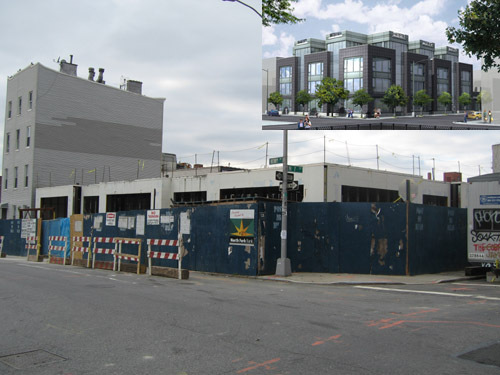 IMBY has been lovingly chronicling the cracking of 1504 8th Avenue by the construction that surrounds it. The vintage Astroland Amusement Park, one of the anchors of Coney Island since its 1962 opening, was purchased Tuesday by a developer intent on restoring the Brooklyn beachfront as a $1.5 billion year-round resort. The Albert family, owners of the well-known park, will close the 3.1-acre attraction at the end of the 2007 summer season under the deal reached with Thor Equities. The Alberts will continue to operate the landmark Cyclone roller-coaster, which turns 80 next year, under an existing agreement with the city. The decision to sell was "very difficult and made only after months of extensive discussion," said Carol Hill Albert, co-owner of Astroland with husband Jerome. The park was launched by her late father-in-law, Dewey Albert. 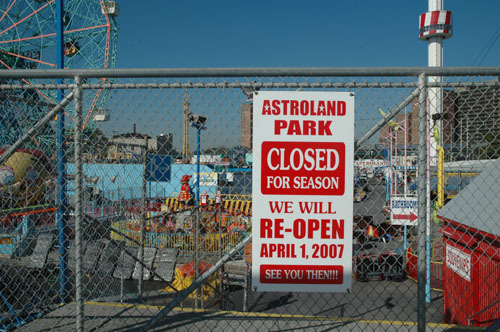 In the end, the cost of converting Astroland to a year-round operation was too steep. The family had turned down larger bids last year "in the hope of finding an alternative that would enable us to keep our current location," Albert said — but it didn't pan out. Thor Equities plans a $1.5 billion, year-round facility in Coney Island. Although no price was given for the Astroland purchase, Thor had already spent $100 million snapping up properties along the venerable boardwalk. Thor's plans include a mix of amusements and attractions, including a new roller coaster and a new hotel to accommodate the anticipated arrival of new tourists. 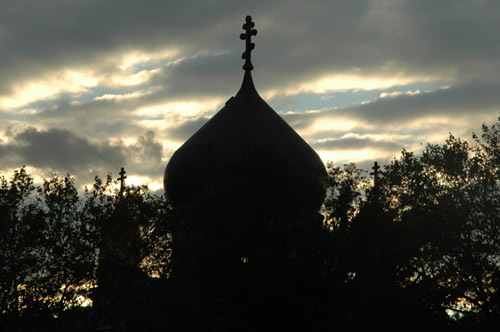 The site of the amusement park is renowned for another reason. 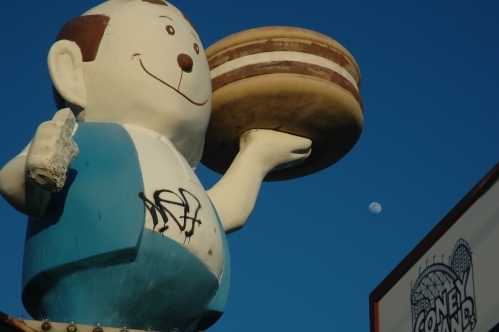 Local legend has it that restaurateur Charles Feltman invented the hot dog there in 1874. The Alberts, although they sold their property to Thor, retained ownership of attractions like the water flume and the Astrotower in hopes of adding some new rides and relocating to another section of the neighborhood. The amusement park employs about 300 workers every summer, and Albert was hopeful that city and Brooklyn officials could help with relocation costs. "The Albert family is proud to have provided so many wonderful memories for so many generations and to have been such an important part of New York's world famous Coney Island," Albert said. Coming Tomorrow: Thor buys the naming rights to Coney Island and tries to decide between Sittville, Sitt Island and ThorSittia. 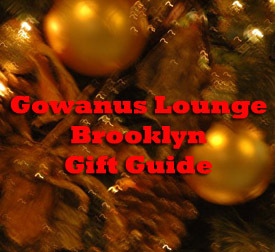 We were going to compile our GL Brooklyn Holiday Gift Guide and run it in one entry, but decided that if we go that route, it will be mid-December before we ever get it accomplished. So, we're taking an episodic approach. Gowanus Dredgers. You don't have to belong to the Dredgers to go out on the Big G in one of their canoes, but signing someone up as a member would be a cool thing to do. Basic "Deckhand" membership is $25. 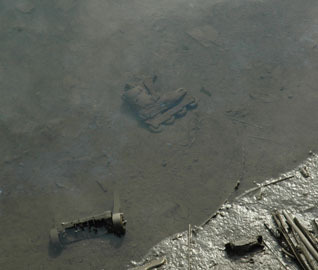 A "Stevadore" membership is $50 and includes the "Heart of Gowanus" DVD. All members can pay a $75 equipment fee and make appointments to take canoes out on the Gowanus when they'd like. Navigate over to the "Membership" page on their site. Urban Divers. Truly, we can't determine what membership in the Urban Divers brings, but we do know that they do wonderful working on the Gowanus and other local bodies of water and that they sponsor eco-cruises and offer a lot of volunteer opportunities. That having been said, a General Membership is $40 and you can find out more here. Brooklyn Center for the Urban Environment. BCUE does urban environmental education, but we especially love them for the Brooklyn tours they run with guides like Francis Morrone and Jack Eichenbaum. Their membership page has a contact number to call for more information, and there's an online donation page too. We do know that members get discounts on all the cool tours they run. This could be the gift for the Brooklyn lover in your life. Added Value. You can't become a paid member of Added Value--the good people that run programs for young people in Red Hook and operate a community farm and farmers markets--but you can certainly make a contribution to the cause in someone's name. They do good work. Helping them would make a cool gift. Check out their donation page here. Slope Street Cats. No membership here, but you can donate to Slope Street Cats, a Park Slope group that works to control the population of feral cats and links a lot of people to adoptions of cats. They run educational programs and do a lot of good work and you can make a donation here in someone's name as a gift and get a big deposit of Good Kitty Karma to boot. Brooklyn Animal Resource Coalition. We mentioned them last week, but we're doing it again because we didn't mention that for $25 a month the person on your holiday list can sponsor a dog or cat at the BARC shelter in Williamsburg and go over to play with his or her sponsee, which could add an extra element of fun to those Williamsburg shopping and eating excursions. You can, of course, also donate in someone's name to BARC. Portside New York. Portside does superb work in Red Hook with a focus on the waterfront and the neighborhood's maritime history and is in the process of converting an old tanker, the Mary A. Whalen, into a museum and community facility. You can donate to Portside or support it by making purchases at several sites including igive, not to mention their Electronic Book Store set up through Amazon, which has a bunch of waterfront-related gift options. The Mary Whalen, by the way, just went to the shipyard for its renovation this week. Broken Angel. 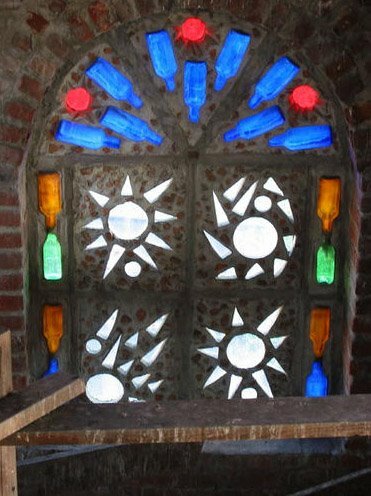 You can't "join" Broken Angel, but you can help save this unique Brooklyn treasure in Clinton Hill that the city is threatening with demolition. How? The owners are selling paintings and photos to raise money. So, you will be getting someone a cool gift of a stunning painting or superb photo and contributing to saving Broken Angel. Paintings and photos are on sale at Artez'n at 444 Atlantic Ave. They are also on sale online here. In the words of Chris Wood, a photographer whose father has created Broken Angel: "I guarantee that a work of art bought this holiday season will retain its value better than a Play Station 3." It'll make you feel better about making a difference in Brooklyn too. We are not focusing on obvious choices, but we'll mention a few here: The Brooklyn Museum, Brooklyn Botanic Garden, Brooklyn Children's Museum, Celebrate Brooklyn and the Brooklyn Historical Society. Good and fun memberships all. Oh, to have been a fly on the wall at the Empire State Development Corporation this holiday weekend when all of the stops were apparently pulled out to remedy the mistake that led to the omission of 148 public comments and required an amended document and a vote to recertify. In announcing the error, ESDC Chair Charles Gargano had said that a "thorough" review would take place. Today's Post reports that "The Pataki administration is so keen on getting the plan for a Brooklyn NBA arena approved before Eliot Spitzer becomes governor that officials had state employees work through the Thanksgiving weekend..."
We could go on about the screaming that ensued, the threats that were uttered, the catered holiday meals that were offered, but we won't. We will simply note that after December 8 the document goes to State Comptroller Alan Hevesi (yes, him) and that he can hang onto it for seven days for review. That means that it would head to the Public Authorities Control Board, which would could still vote its approval by Dec. 31. In the end, all road still lead to Assembly Speaker Sheldon Silver and whether Mr. Silver will listen to requests from Brooklyn members to delay and modify the project and whether he will stall as a way of getting at Gov. George Pataki and at Mr. Gargano, who he recently called "the most corrupt" members of the Pataki Administration. Or, whether Mr. Silver will submit to pressure to get the deal done before Eliot Spitzer can do anything to change it in any way, shape or form. We will say two things: The first is that we're not lawyers, but if a suit is filed challenging the entire Environmental Impact Statement review and approval process, the mistake and rush job to rectify it will end up being part of the litigation. The second is that the public process surrounding the most important development project in Brooklyn history has taken on the manic feel of getting a PlayStation3 on eBay on Christmas Eve and trying to get it delivered by Christmas morning. In the end, if you'll pardon us stretching the analogy a bit, it will all come down to how many stop signs and traffic lights the UPS driver is willing to run in order to get it there on time. The Gowanus "is Seriously Messed Up"
I was walking to work this morning over the Carroll St. Bridge and noticed that the water in the canal is much, much worse than normal. It's turned a funny green color and there's lots of floating debris around. Other people were stopping to notice too. You know it's got to be bad when people actually stop to look at the water in the Big G. Logic tells us that it's one of several things: (1.) It has something to do with the heavy rain over Thanksgiving which caused more sewage outflow into the canal and some storm drains to overflow into it, (2). A business along the canal dumped somethhing or something into a storm drain that empties into the canal or (3). A combination of (1) and (2). Despite slightly improved water quality in the canal, ever time there is a moderate rain, both effluent and trash go directly into the Gowanus. A couple of weeks ago we posted about watching oil bubble up to the surface north of the Union Street Bridge. 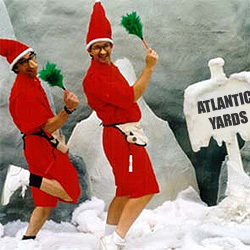 Previously, we've posted about geysers of crap erupting from sewers in Gowanus and the threat posed by Atlantic Yards. Leak Causing Gowanus Oil Slick? Thor Equities, which is proposing the massive $1.5 billion Coney Island redevelopment, is launching an advertising campaign to build public support for the project. The development is reported in today's New York Post. Yesterday, Thor leaked the results of a poll it had commissioned that shows support among Coney Island residents for the project. And so, five promotional newsletters will be coming to Brooklyn mailboxes (the first is in the mail) and a spokesman for the developer says they are planning a website and newspaper ads. The newsletter strategy is a familiar one for big Brooklyn projects. 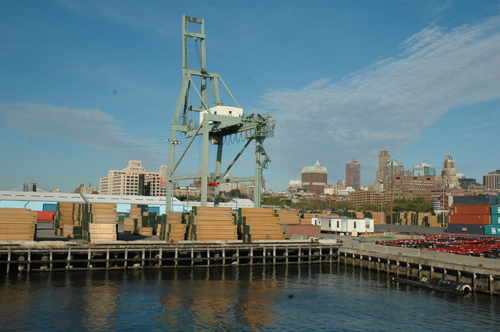 Ikea used it to push its plan for a waterfront Red Hook store and Forest City Ratner has mailed out multiple pieces to Brooklyn residents pushing the Atlantic Yards proposal. The first Coney mailer says, in part: "Coney Island has a glorious past but fell onto hard times. It's our job to bring it back." Thor will be lobbying for zoning changes to allow parts of its projects, particularly the highrise hotel it is proposing and highrise condos in the amusement zone. 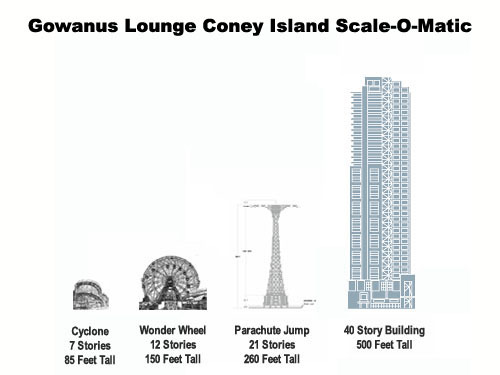 Thor's buildings would be up to 40 stories tall. The properties are centered between W. 12th and W. 15th streets. We'll be watching our mailbox to see the pitch for ourselves. 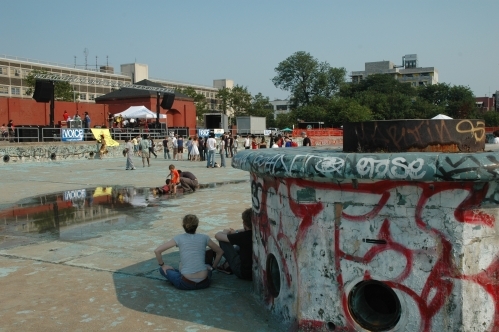 There's another meeting coming up about summer programming and events at McCarren Pool. Unlike the Parks Department planning meeting a couple of weeks ago that included Live Nation on the invite list, this one's billed as "an open meeting for members of the Greenpoint/Williamsburg communities to discuss events to be held at McCarren Pool." It will take place tomorrow (11/29) at 7PM at the Metropolitan Pool, which is at Bedford Avenue and Metropolitan Avenue. We did note that the email went to the Community Board, so hopefully, words has gotten around. The meeting is being held to talk about the kinds of events that will be scheduled, "ways to minimize impact on community" and individual concerns. Applications and proposals for next year are being accepted starting Dec. 1. No word on whether Live Nation or another promoter is interested in staging more big shows at the pool next year or whether the schedule will be limited to more community-oriented programming. Hopefully, the meetings are a sign that the process will be a bit more transparent than the one that led to what many people considered to be a sweetheart deal with Live Nation last year. The email from the Parks Department says, "It is our hope to use the discussion at this meeting to help shape the scheduling, programming and production of events and programs to be held at the pool in the upcoming season." Today was a perfect day. Too beautiful to spend it inside so I scrapped my plan to visit PS1 and took the subway to the end of the line instead. I easily forget that I live by the ocean. Beach bums, the tanned salty blond version, isn't what comes to mind when I think of NYC. Coney island in all its seedy, dirty, decrepit grandeur functions as a time capsule of the pre-Giuliani era and couldn't exist anywhere but here. Today, along with thousands of other ordinary New Yorkers, I slowly strolled (punishable by law anywhere else in the city) the boardwalk pausing here and there to admire the freaks, watch the waves do their thing and enjoy the caress of a perfect late november sun ray. 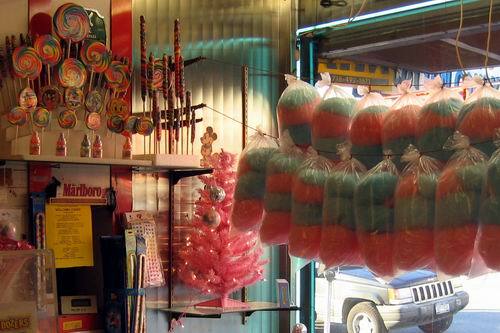 Sweet Coney island, I wouldn't trade you for all the Hamptons in the world. 1) Public Support? 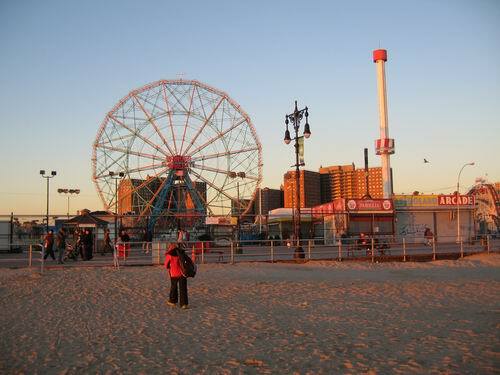 A poll obtained by the New York Post that was commissioned and leaked by developer Thor Equities, shows The Post, reveal that nearly 76 percent of area residents "do not want city officials to block 'a $1.5 billion investment in Coney Island to expand amusement attractions and bring new restaurants and retail outlets to the community.' The survey of 400 "Coney Island-vicinity residents" was conducted by the Alexandria, Va.-based firm Fabrizio, McLaughlin & Associates. Among the developments or amenities that residents support are restaurants (81.8 percent), hotels (80.5 percent), movie theaters (78.7 percent), more amusements/rides (76.3 percent), retail stores (74.8 percent), and a "limited amount" of residential housing (62.2 percent). The wording of questions is unavailable and it is unclear whether residents were asked about housing in the current amusement area. In addition, it does not appear that residents were asked their opinion on buildings as tall as 40 stories, roughly double the height of the Parachute Jump. The city has agreed to put up $5.5 million to purchase a building for Zigun’s non-profit organization, Coney Island USA. Zigun said he is looking at several properties to house the Coney Island Museum, the Sideshow at the Seashore "Freak Show," and administrative office space from which to run such mainstay Coney Island events as the annual Mermaid Parade. Currently these are housed at a building located at 1209 Surf Avenue off West 12th Street, and sources close to Zigun speculate this is the same building he is looking to buy. The building, which is owned by the Luna Park Furniture dealer across the street, has been on the market for some time, Zigun said. Zigun said he has been renting at their current site for the past 11 years, and he rented a building on the Coney Island boardwalk for 11 years previous to that. Zigun, a member of the Coney Island Development Corporation, said he is pro-Coney Island development and backs the major developers including Thor Equities, the Taconic Investment Group and the City Investment Fund. “Everyone from the Army to the artists, from the non-profits to major corporations, want a bigger and better Coney Island,” he said. While the vision seems spectacular, there is a growing concern that before the project ever comes to fruition, businesses and employees along the strip will lose business, unemployment will rise and a gaping hole among the areas under construction will reduce tourism during the summertime. 4) Is Sitt Full of It? Coney Island is an interesting place, especially in terms of land and some of its owners, and the dealings of developer Joe Sitt and Thor Equities have stirred up a big pot of speculation. The Bay Ridge Courier reports that the latest speculation is that Thor is waiting for zoning changes will flip its property. The company apparently bought the former Washington Bathhouse in 2005 for $13 million and sold it this year for $90 million to the City Investment Fund. (Not bad for nine months.) One amusement attraction operator said that Thor's plan to clear out a significant part of Coney Island long in advance of doing any construction "will hurt all of Coney Island." 3) he has, through sheer luck, found himself holding some very highly valued real estate in Brooklyn - all of which is much more valuable if he can get zoning variances. Then he flips the property. 4) his "I was born here and I love Brooklyn" song is wearing thin. Considering all the parcels he owns, he has built NOTHING in the biggest construction boom this city has seen in nearly half a century. 5) the CIDC has no commitment to a C-7 zone and would rather gain revenue through real estate taxes on luxury condo than sales taxes on amusement ride tickets. If you're looking for one of the Top Five Ugliest Development Battles of 2007 in Brooklyn, look no further than Red Hook. We're not talking about Ikea's big box on the waterfront or, even, Thor Equities plans for the former Revere Sugar plant with its iconic dome. 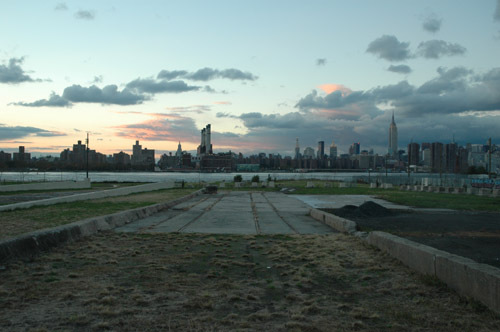 We are referring to the city's plan for the redevelopment of Piers 7-12 in Red Hook. The overall scale of the project is huge, impacting 120 acres and 1.1 miles of waterfront. And the looming fight over "Parcel M" along Columbia Street demonstrates the potential this fight has for making Atlantic Yards struggle seem like an Afternoon Tea. At a joint meeting of Community Board 6’s Transportation/Economic/Landmarks committees at Long Island College Hospital, the ‘M’ stood for a misguided attempt by the city to force residential development, and a plan that is generating mistrust. For residents demanding more parkland and less residential development, the city’s nearly year-long effort to gather consensus and get a sense of what kinds of projects should proceed along the Red Hook waterfront has amounted to little more than a charade. The city, led by the Economic Development Corporation (EDC), insisted that it was simply gathering information that will inform the creation of a draft environmental impact statement (DEIS), which will examine the consequences of development on the 1.1 mile, 120-acre site. Along with new housing along the western side of Columbia Street, the project could see sweeping changes along the entirety of Red Hook’s waterfront, including the arrival of a hotel, brewery, offices, another passenger cruise ship terminal, restaurants, retail stores and artist studios. To grossly oversimplify, in the Columbia Street area, one of the big fault lines is preserving open space and views of Manhattan versus plans to build housing and other structures that would create a wall of buildings that would block many views of Manhattan and the harbor. Definitely look for Red Hook to claim its rightful place in 2007 in the slugfest that is Brooklyn development. 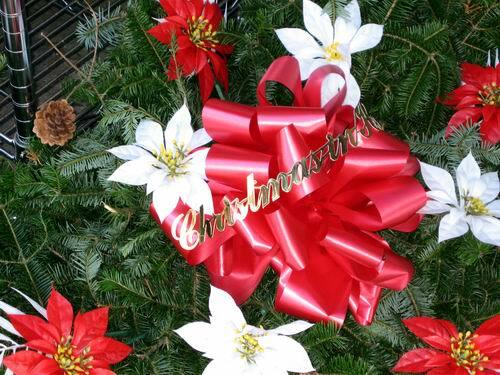 Starting today, we'll be running a Daily Brooklyn Christmas Photo that we're calling Brookyule. Because Christmas comes on with such a rush, we've already got a bunch in the GL photo folder. 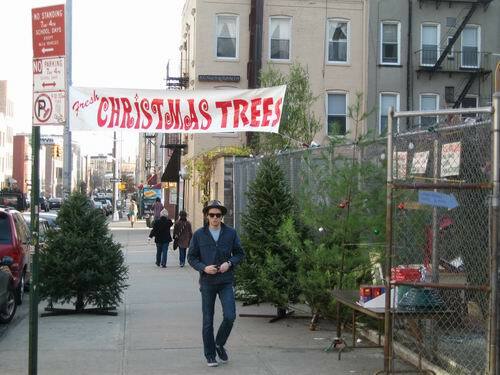 We start with one of our favorite Williamsburg Christmas tree lots, hipster included. Old Gowanus, victim of a multitude of gags, rolls along with the help of an impeller which keeps the water moving. Industrial installations important to the life of the borough flank its turgid sides and in the right background may be seen the Williamsburgh Bank Building...Gowanus Canal with view to elevated Smith and Ninth Street subway station and Hamilton Avenue bridge; docked barges and tugboats on canal; warehouses, silos, smokestacks, and industrial debris on both sides of canal; warehouse at left reads, "Cirillo Bros. Coal and Fuel Corp."; silo at right reads, "Cranford Ready Mixed Concrete"; large water tank behind elevated subway tracks; Brooklyn skyline in background. The image is originally from the Brooklyn Eagle and is dated 1952. It looks like it was shot from the Gowanus Expressway. 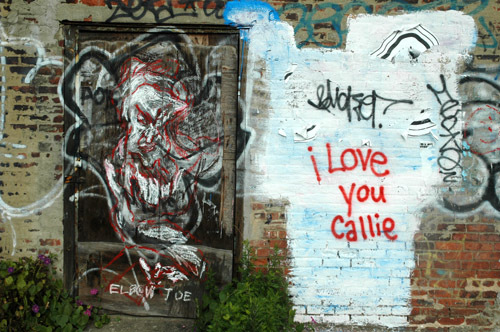 We found the graffiti below scrawled on a site where a new 12-story building is rising at Carroll Street and Fourth Avenue. It is quite succinct. For a more verbose overview of development along one of Brooklyn's hottest corridors for new construction you can click here. On the weekend, we turn our attention to the Missed Connections section of Craiglist. Where else can one find so much sadness, comedy, longing and karma or lack thereof in one place and in so few words? This week, naturally, we turn to a Thanksgiving-related missed connection, which means that it is grocery-related, but don't miss the Honorable Mention, which is theft-related, and not so much a missed connection as a shout out to a Thankgiving thief. 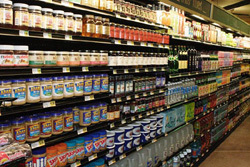 In the Cooking/Ingredients aisle at the grocery store, I was looking for peanut oil, and you were looking for something on the opposite side of the aisle. Our backs were pointed towards each other, our faces away. We each pulled back to get a better look at the sections we were searching, and our heads ended up right next to each other, a mere few inches apart. I tried to act like I didn't notice your head directly next to mine. But in fact, I noticed that you smelled very nice. Secretly, this non-interaction delighted me. 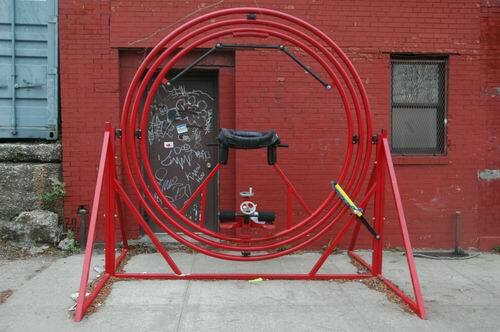 How many of these happened all over Brooklyn on Monday, Tuesday and Wednesday? Here are a couple of video excerpts we found posted on youtube of walking tours on the history of Downtown Brooklyn and Park Slope. The Council of Brooklyn Neighborhoods' light hearted Ho! Ho! Ho! Merry Gridlock! 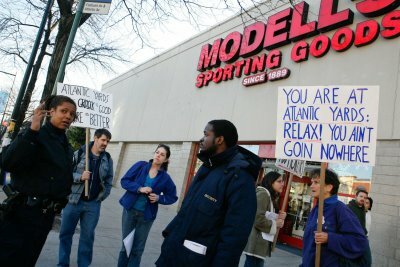 Black Friday traffic demonstration at Atlantic and Flatbush Avenue attracted several Atlantic Center/Atlantic Terminal Mall security guards who tried to stop the protesters, even though they were on a public sidewalk and obeying the law. In front of four reporters, the security guards told organizer Jim Vogel of CBN and several others to stop, because they were trespassing on private property, including the sidewalks outside the mall, and the sidewalks outside the Modell’s/P.C. Richard complex, formally known as the Shops at Atlantic Center. When a squad car from the 88th Precinct finally pulled up, the security guards had briefly moved away. I asked an officer what the rules were. A security guard materialized and joined the conversation. The sidewalks, the cop explained, were open to the public. The bottom line is that the NYPD seems to have protected the civil liberties of the protestors from Mr. Ratner (insert irony here), but that there was enough confusion that it sounds like everyone involved needs to go back for a Civil Liberties 101 refresher course. For the record, Mr. Oder points out that if you want to distribute handbills on a public sidewalk or in a public park, have a demonstration, rally, or press conference on a public sidewalk, or march on a public sidewalk and you don't use amplified sound, you do not need a permit. If you want to use amplified sound on public property, want to have an event with more than 20 people in a New York City park, or wish to conduct a march in a public street, you will need a permit. The NYPD is trying to alter public gathering rules, which will make a confusing situation even more subject to interpretation. And none of this does anyone any good if private security employees are dancing to their own music or don't really give a darn about the law. One of the issues with privately controlled public space and private security enforcement has always been the impact, in particular, on First Amendment rights. Consider the Attempted Black Friday Ratner Security Smackdown of Peaceful, Lowkey Neighborhood Protestors a small rehearsal for much greater things to come. It is especially fascinating given the Ratner Family's well known support of liberal causes, including civil liberties and human rights. By the end of World War One, the Gowanus Canal was the busiest, and arguably most disgusting, commercial canal in America. "So when the water is clean, then they'll kick everyone out and built fancy places for rich people," is a popular sentiment among neighborhood residents. In a city where revitalization has become synonymous with gentrification, and in a borough that is caught in the middle of battles over redevelopment of multiple neighborhoods that are seeing long-time residents and business moved -- potentially through force of eminent domain -- to make way for luxury condos and stadiums, it's no wonder that some Gowanus locals, who have seen a modicum of peace and order return to their neighborhood, might see the cleaning of the Gowanus Canal as the first wave of development that could push them out of their homes and businesses. There's a lot more to this excellent article. Absolutely worth a read. Brooklinks is a daily selection of Brooklyn-related news and, especially on weekends, images. Lawyers Offended by "Brooklyn-Style Pizza"
You find the darndest things sometimes. Like a discussion of whether "the law can place any restrictions on how corporate America adopts and exploits local gastronomic traditions and culture." AKA the offensive case of the "Brooklyn-Style Pizza" being marketed around America by Domino's. As readers may be aware, in Europe, certain foods carry deep associations with local regions and traditions. The word "Champagne" refers to a place in France, not just a style of sparkling wine; the word "Parmesan" refers to a place in Italy, not only a style of cheese. And the local producers do not want wine producers in America to be able to call their sparkling wine "champagne," nor do they want cheese made in Holland to be called "parmesan." Over the years, a system of legal regulation limiting the use of geographic titles, or "appellations of origin" has developed. European wines have traditionally been regulated by the French Appellation d'Origine Contrôlée (AOC) system, the Denominazione di Origine Controllata (DOC) used in Italy, and the Denominación de Origen system used in Spain. Since 1992 the European Union has expanded this concept to foodstuffs by employing various legal devices, such as protected designation of origin (PDO), protected geographical indication (PGI) and Traditional Speciality Guaranteed (TSG). Domino's campaign for its "Brooklyn Style Pizza"...trades in crude stereotypes about urban America. Its website has a cast of ethnic stereotypes, and a liberal amount of what we think is supposed to be "attitude." Meanwhile, the television ad that accompanies the campaign looks like an outtake from "Welcome Back Kotter." 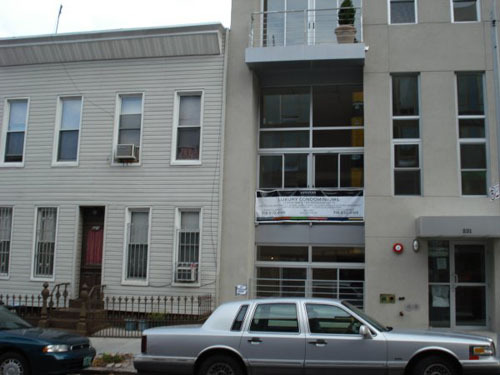 The point is not that Brooklyn has changed dramatically over the past 25 years. The point is that it doesn't seem like anyone who truly cares about Brooklyn--its people or its food--had very much to do with the "Brooklyn Style Pizza." The practice of appellations of origin is just starting to get a foothold in the United States. We are not sure that pizza from Brooklyn deserves that sort of care and attention. But think that there is a connection between respect for the local pedigree of a product and respect for that product's region or home. In the case of Domino's "Brooklyn Style Pizza," we think that the lesson is particularly clear: Local flavor or authenticity should not be manufactured along with a homogenized, national product. Even if consumers are not fooled--they know, in the end, they are just getting a Domino's pizza--Brooklyn and the dignity of its local culture have been cheapened as a result. Not to flog a dead horse, but us, we wouldn't eat the crap if you paid us. So, with the holiday shopping rush officially underway as of today (GL's goal is to do almost everything online) and a sad reminder about pet stores earlier this week, we thought this would be a good time to pitch for a worthy cause: Adopting a pet from a shelter or contributing to one as someone's holiday gift. One of our local favorites is the Brooklyn Animal Resource Coalition (BARC), which is based in Williamsburg. They have a bunch of great holiday options including adoption, BARC Gift Certificates that can be used to purchase pet supplies or to use toward and adoption fee, pet photos with Santa (December 16 & 17 from Noon-Five), sponsorship and shopping for supplies at BARC's store, which is located with the shelter at Wythe and N. 1st in Williamsburg. Another great option is the Brooklyn Animal Foster Network. You can make a donation and they even have a wish list if you want to give a gift that will mean something. And, of course, there is the North Shore Animal League, they offer a ton of adoption options, plus multiple ways you can make a donation on someone's behalf. They're not strictly Brooklyn, but they do good work all over the tri-state area.